The cultural center would cost as much as $8 million to build. The Bosch Lot, on the corner of Monroe Street and Bridge Avenue in downtown Spokane, is not much more than concrete dividers, gravel and a “Pay Here” sign next to a fee machine. Someday it could feature a massive two-story building with detailed architecture and a whole lot more than parking spaces. The 33,000-square-foot center would feature historical and cultural exhibits, offices, a theater and retail space. 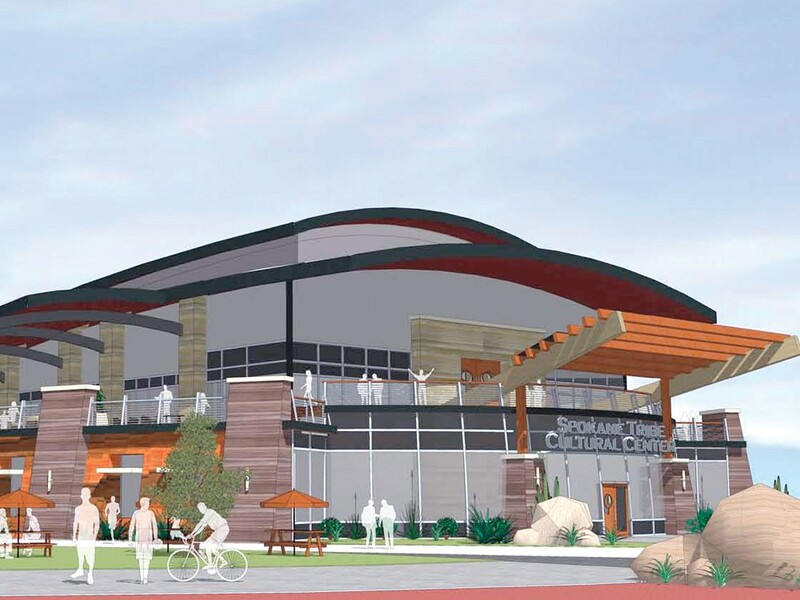 The facility could cost up to $8 million, and tribe officials say they plan to get funding from grants, bonds and private funding. Parking fees on the property currently bring the city’s general park fund about $70,000 a year. The cultural center will have to come close to matching that, likely from the planned retail space, says Spokane Park Board President Ross Kelley. “It these tough financial times, looking at tough budgets coming up, we can’t afford to lose the amount of money that we’re getting from that lot,” he says. If a more detailed proposal at the next Park Board meeting later this month is approved, the city will begin drafting a lease and property development agreement. The tribe will be responsible for proving it can secure funding for the facility, and City Council will have the final say. In what Spokane City Councilman Jon Snyder hopes is a good omen for development in Spokane, the council last week unanimously passed a resolution granting an eight-year tax exemption to an eight-unit condo project at Fifth Avenue and Chandler Street, near the Rockwood Clinic and Sacred Heart Medical Center. The project, which consists of two sets of four chi-chi, glass-plated townhouses, will not have to pay taxes on the construction and building improvements (though it will continue to pay taxes on the property) for eight years, because of Washington’s Multi-Family Tax Exemption. The project aims to encourage denser housing in cities, in part because it’s cheaper to provide city services to those areas that are already close-in. The project at Fifth and Chandler is eligible because it lies within both the downtown Central Business District and the University District Revitalization Area. Snyder thinks it’s a good sign that this and other projects are coming forward for council approval (which is really a formality in the state-initiated process).